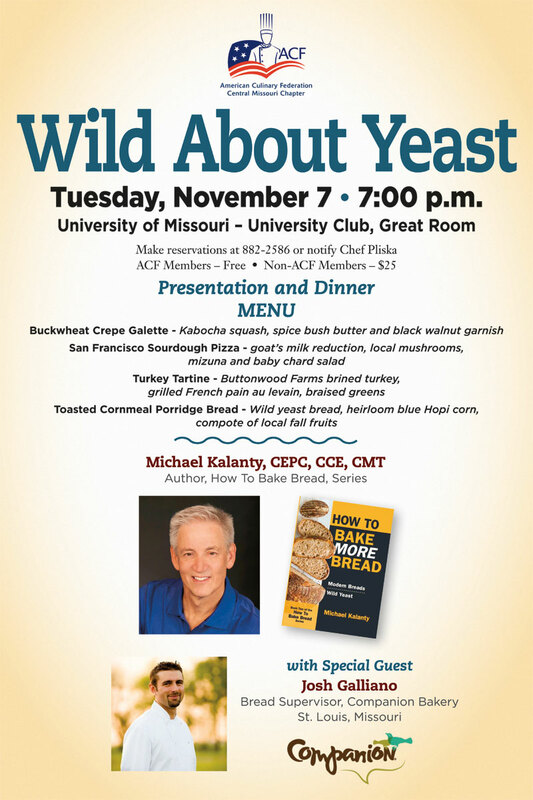 Columbia, Mo., October 27, 2017—American Culinary Federation Central Missouri Chapter and Chef Daniel Pliska CEC, AAC of the MU University Club will host Wild About Yeast featuring Michael Kalanty, author of How to Bake MORE Bread, and Josh Galliano, Bread Supervisor at Companion Bakery, on Nov. 6-7, 2017 in Columbia, Mo. Wild About Yeast focuses on yeast starter culture and its benefits for various food. 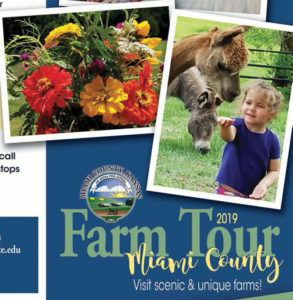 Monday, Nov. 6 will be a hands-on seminar on dough preparation and will take place at Columbia Area Career Center from 3-6 p.m. Tuesday, Nov. 7 will be a four-course bread centric dinner tasting at MU University Club. During the tasting, Kalanty and Galliano will discuss the process of the courses along with how to create a starter culture by capturing wild yeast and local lactic acid bacteria. 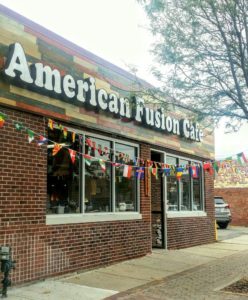 The tasting will begin at 7 p.m. and end with a book signing and meet and greet with both Kalanty and Galliano. 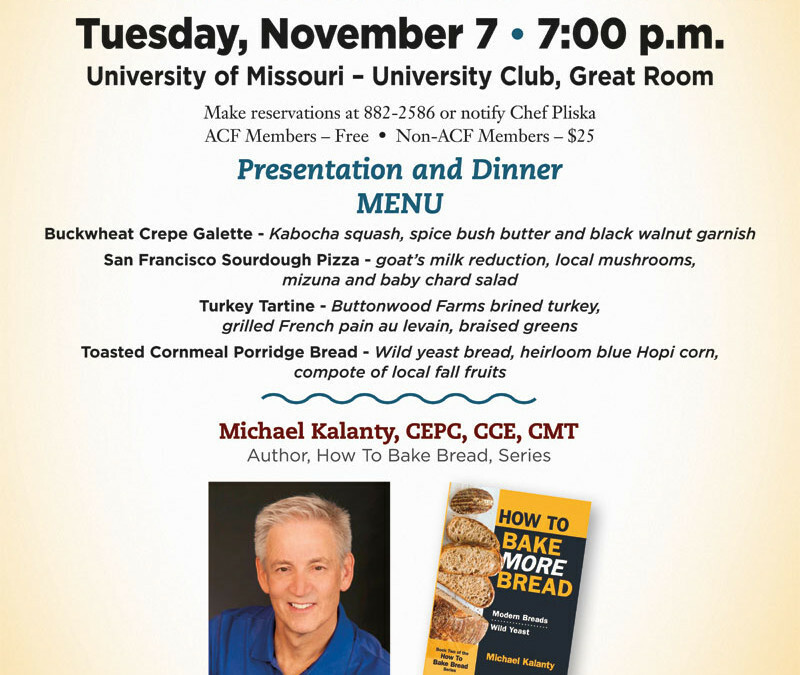 Michael Kalanty is an award-winning author for his book How to Bake Bread, master bread baker and product developer. He advocates for bread’s inherent nutrition and educates about low glycemic bread made from natural yeast starters. 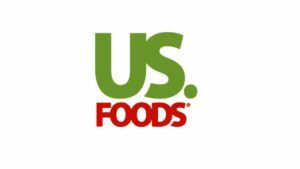 Josh Galliano is an award-winning chef including ‘Food and Wine’s Best New Chef: Midwest’ and a multiple time nominee for the James Beard-Best Chef in the Midwest award. At Companion Bakery, he bakes both traditional and modern breads that express his creativity. Wild About Yeast is open to the public, and each day will cost $25. Make reservations by calling (573) 882-2586 or notifying Chef Daniel Pliska.